The Toyota AFL Finals are here and one team is going to write a new story - don't miss your chance to be there to witness it. If there's one thing recent Finals series have shown us, it's that what you thought could 'never' happen – will probably happen. A new era of dominance? An unexpected Premier? A lengthy drought ending? A first ever Premiership? You just never know. The Toyota AFL Finals are here and one team is going to write a new story – Don't miss your chance to be there to witness it. Get your Finals game-plan ready for action. Everything you need is right here including; ticket info, special events, venue guides and of course – where and when to watch the games. Celebrates all that is brilliant about Melbourne, showcasing the best food, music, kids activities and of course footy. Experience that one special day of the year where history is made, where legends are created and heroes become immortals. Watch all the nail-biting action when you're out and about with the AFL Live Official App. Watch the Toyota AFL Finals Series live and on demand abroad with the AFL's international streaming service. View the 2018 Toyota AFL Finals Series TV and Radio Broadcast Guide. View locations where the 2018 Toyota AFL Grand Final will be shown around the world. Predict who will win their way through to the 2018 Toyota AFL Grand Final and win the flag with the AFL Finals Predictor. 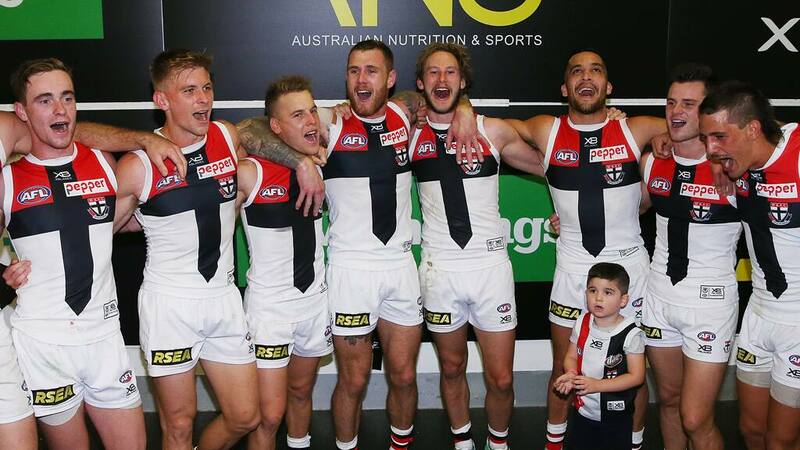 Buy official AFL merchandise, memorabilia and fan gear for the whole family at ShopAFL. Own a replica pin of the Toyota AFL Premiership Cup while helping Ladder tackle youth homelessness.